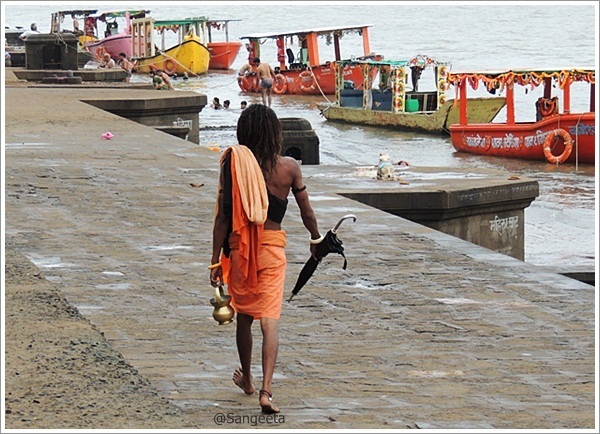 Wordless Wednesday: Sadhu by the River !! Nice shot. Would have loved to see a trishul instead of that umbrella in his hand.